One of the side effects of finally moving into a (hopefully) semi-permanent living situation is that I can finally reclaim the random boxes of my belongings that have accumulated in my parents’ basement over the past decade. In unpacking one of those boxes, I found that it contained souvenirs from my first trip to China—a walk down memory lane, which revealed quite a few forgotten memories along the way. I landed in Beijing on February 16, 2005. 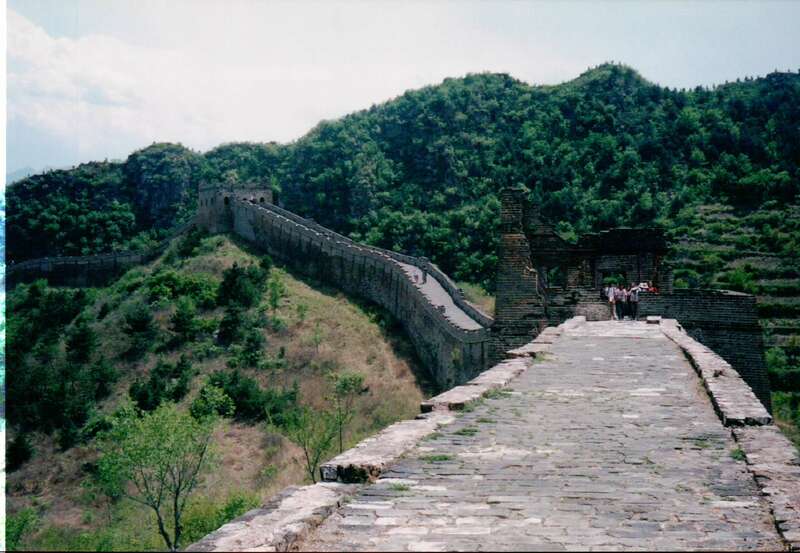 I had tried to go to China before: as a junior in college, I’d signed up for a summer study-abroad program, only to see it canceled due to the SARS crisis, and I’d spent my senior year working through the interminable Peace Corps application process, only to be offered a placement in Turkmenistan. I’d been kind of frightened off from the Peace Corps by that point, anyway, so I decided to get to China on my own, as a language student. And so when I exited the Beijing airport late that February night, relieved to have spotted a Starbucks in the terminal (China couldn’t be that different, right? 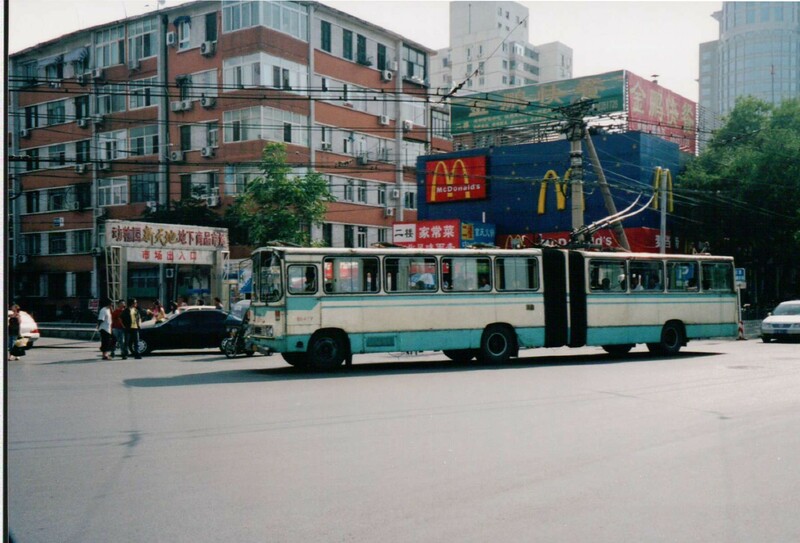 ), I climbed onto a bus with the rest of the students bound for the CET Academic Program dorm at the Beijing Institute of Education, my home for the next six months. I didn’t have to go to China as a CET student; I had graduated from college the spring before and could have just moved to Beijing on my own. If I had been braver or more sure of my ability to negotiate the world—to find a job, rent an apartment, make a life in China by myself—maybe I would have done that. 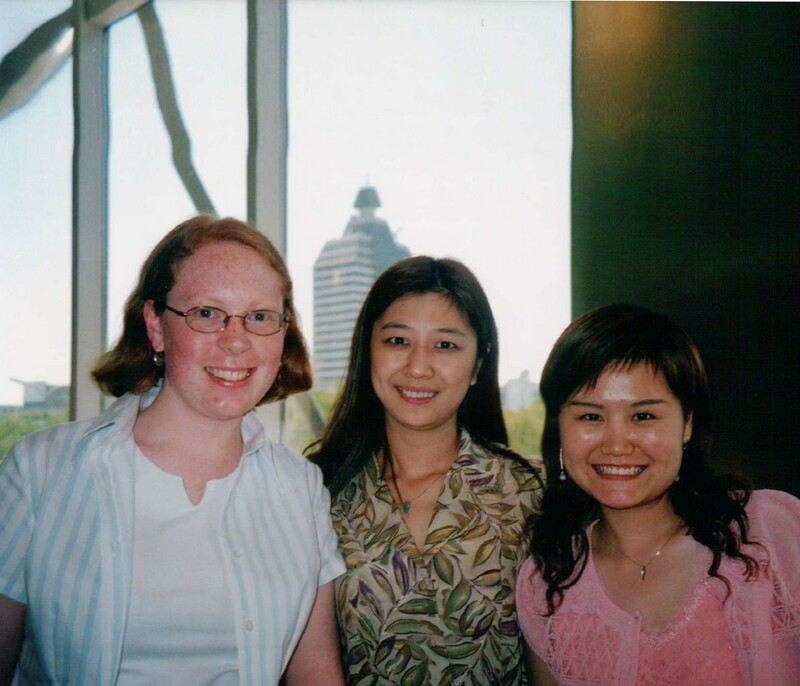 But the same fear that made me skitter away from the Peace Corps when the time came to make a choice also told me to choose a familiar, safe role in China: be a student. I’d have structure, and more importantly, I’d have backup in case China turned out to be more than I could handle. In some ways, China was way more than I could handle. I had traveled outside the U.S. before, but never to a place where I was so visibly different. My three semesters of college Chinese hadn’t prepared me to answer questions about why my hair was red or how my skin had come to be covered in freckles. (Answering that recurrent inquiry led to this essay, my first-ever paid publication, which will always and forever remain stubbornly on the first page of my Google search results, no matter how much I wish it would fade to the third or fourth.) And although I knew enough Chinese to get around, I regularly found myself in conversations far over my head, cursed with an unfortunate tendency to nod and agree when I didn’t know what was going on. Heaven only knows what I agreed with during those months. With Teachers Tian and Fang, who regularly brought me to tears but really didn’t mean to. Except, I didn’t exactly want to go home. On days that China didn’t bring me to tears, I was having the best time of my life. I was there entirely on my own time and my own dime, and with the exchange rate still fixed at 8.2RMB to the dollar back then, my dimes went really far. (Oh, 8.2, I miss you.) Determined to get the most I could out of my time in the country—who knew if I would ever go back? ha ha—I said yes to nearly every opportunity that came my way, though unlike when I agreed with incomprehensible things in Chinese, I usually knew what I was saying yes to (or I thought I did). Sifting through the contents of that box from my parents’ basement, I find mementos from things I don’t even remember saying yes to. I went to a soccer game at Worker’s Stadium? Oh right, I did; here’s the ticket stub. I ate at a Sizzler? Here’s the business card, so I guess so. And now I remember—I did go to a midnight showing of the third Star Wars movie on the day it was released. But there are plenty of experiences I remember saying yes to even without photos or ticket stubs to spark my memory. I said yes to trying both tofu and eggplant for the first time and learned that they’re two of my favorite foods; I said yes to drinking hot soymilk and learned that it makes me gag. I said yes to a four-hour hike on the unrestored Great Wall (and broke down in tears halfway through) and yes to camping there overnight, which meant I saw a spectacular sunrise. I said yes to riding a horse on the grasslands in Inner Mongolia, which was a terrifying enough experience that I said no the next day to riding a camel in the desert. I said yes to a train ride from Beijing to Hong Kong, which I still remember as a 24-hour oasis of peace and relaxation, spent reading a cheap copy of Wuthering Heights as the rough brown of northern China gave way to the soft green of the south. I said yes to a release party for Harry Potter and the Half-Blood Prince, at which one other classmate and I were practically the only people in attendance and the imported book was so expensive that neither of us bought a copy. I said yes to an unforgettable trip to Yangshuo, during which I both ate a rat and took a hot-air balloon ride. 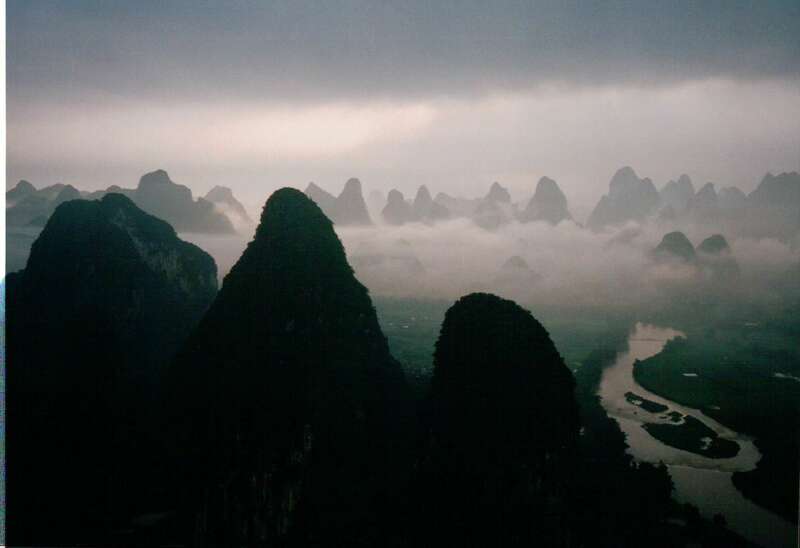 Rat aside, that week in Yangshuo was so perfect that although I’ve thought about going back there many times, I’m reluctant to return and risk spoiling the memory of that trip. Sometimes what happened left me in tears, convinced that I would never feel comfortable in China and thinking that I should leave and never return. But much more often than not, saying yes led me to a place I never imagined I would be and made me think about how much of China I had yet to see. I’ve never again been as completely free as I was on that first trip; since then, lack of time or money, or the press of other obligations, has constrained my ability to pursue every opportunity. In the intervening decade, though, I’ve not only continued saying yes, I’ve learned to make my own plans and to trust that things will work out, not spend my time imagining how they won’t. The language classes were useful, but the importance of saying yes was probably the most important lesson of those first six months in China. And yes, there is a story behind the rat dinner, and yes, I have photos. Another post for another day. Next Next post: Lights! Camera! Flowers!